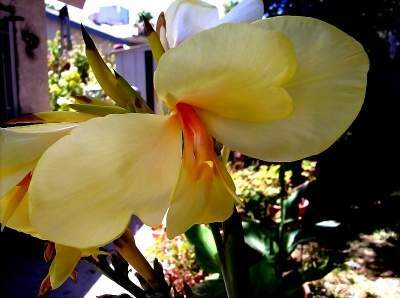 Edna Tulip is a particularly striking medium height canna. 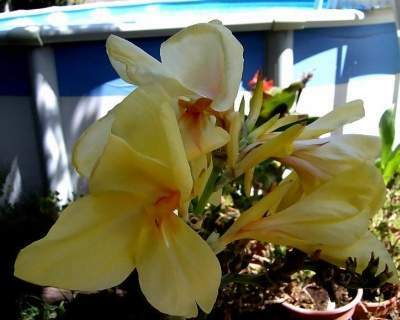 It has pale yellow flowers with a pink center held high above bluish-green foliage. This entry was posted on Monday, September 15th, 2008 at 12:46 am	and is filed under C. 'Edna Tulip', Canna, Flowers. You can follow any responses to this entry through the RSS 2.0 feed. You can leave a response, or trackback from your own site.